Market your practice so potential patients can find you. And current patients come back. When it comes to online reviews, potential eye care patients put a lot of trust in your current patients. So having positive reviews across the major review sites can play a big part in attracting new patients and growing your practice. 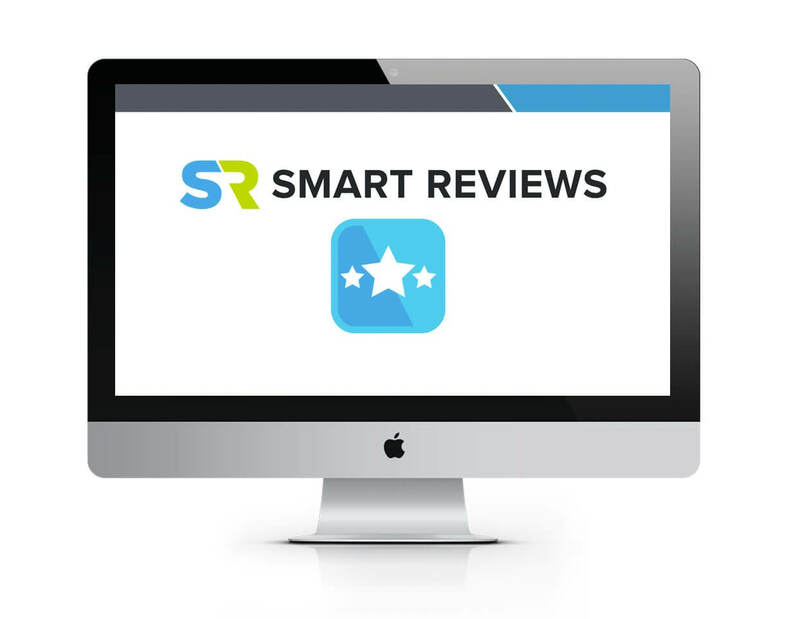 SR Smart Reviews helps you leverage the relationships you already have with your current patients to bring in new ones. A text message with a link to review your practice can be sent to your patients, making it easy for them to leave a review before they even leave your office. Happy patients telling their friends about you can be your best source for growing your practice. 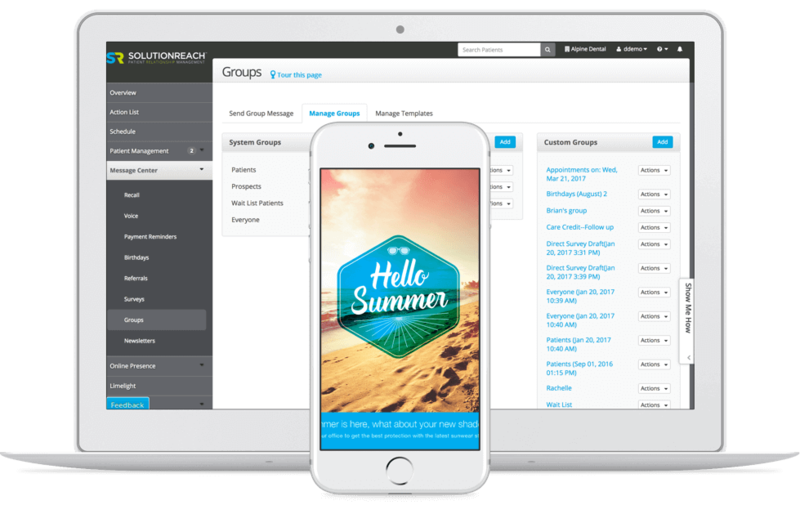 With Solutionreach, it is simple to include a Refer-a-Friend button in the messages you send to your current patients, encouraging them to share your contact information. Give your patients a small incentive for each referral, and your patient base will grow before your eyes. Similar to patient reviews, your potential patients will give a lot of credibility to video testimonials by your current patients. Videos will not only boost your searchability, but also your patient base. Solutionreach gives you the ability to record and share videos of your patients leaving glowing reviews about your practice. 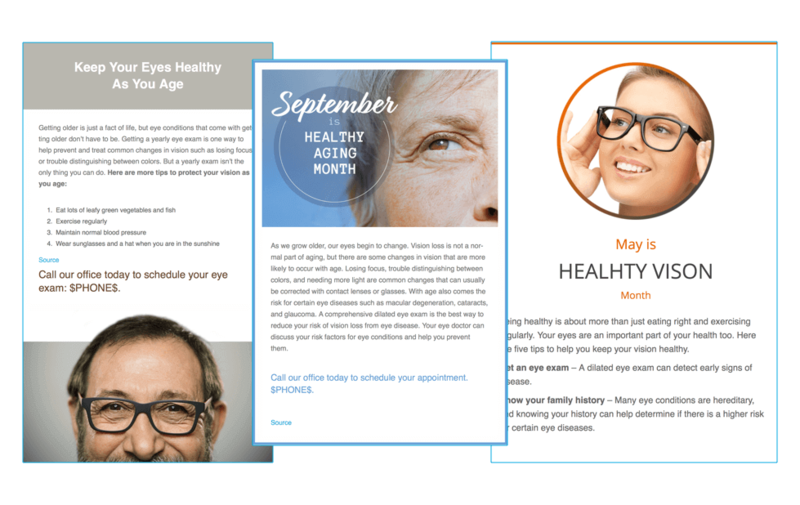 Margaret Benson of Virginia Eye Institute tells how automated newsletters from Solutionreach have become an essential tool in keeping patients informed, educated, and retained. Knowing where your patients are coming from makes it easier to target your marketing efforts. 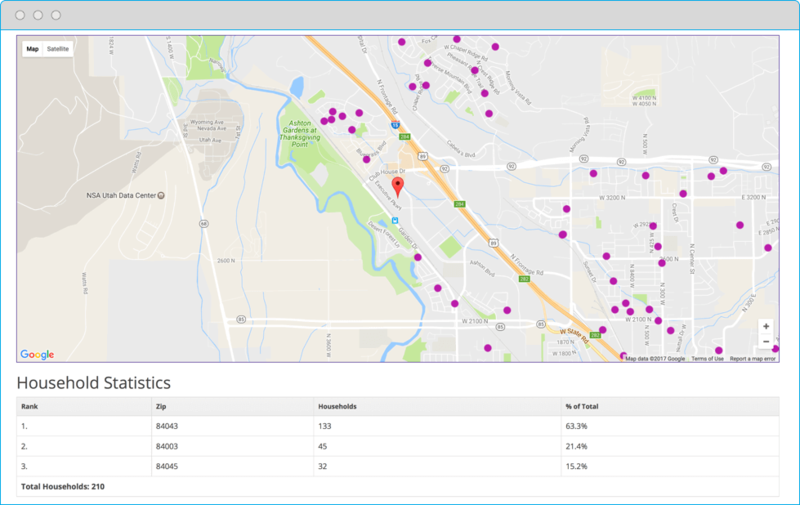 Patient Mapping lets you filter your patients by data or zip code, so you can get the most out of your marketing strategies. With Solutionreach, your optometry practice will stand out to patients. Easily brand your practice through newsletters and emails and increase your patient base. With the Solutionreach optical marketing platform, you can also segment your current patient lists. 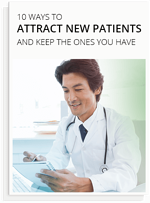 Sending targeted emails specific to individual patients, you will increase your patients trust in you as their provider. How about some helpful ideas to do it?